Many CCA students and teenagers in general love jamming out to their favorite tunes. But some may not being paying as close attention to the lyrics of these songs as they should. Here are some songs, from oldest to newest, with lyrics that are deeper than one would expect. With a title like “Born In The USA”, one would think this is the ultimate anthem that promotes American patriotism-when it’s really the exact opposite. Despite its upbeat melody, this song actually deals with a struggling American soldier during the Vietnam War. Hiring man says “Son, if it was up to me"
These specific lyrics talk about the soldier returning home. He cannot receive a job because most Vietnam vets experienced high unemployment rates after the Vietnam War. According to the app Genius, which goes into full detail of certain lyrics in songs, the V.A. stood for the Veterans Affair, which provided support to, well, veterans. In the song, the soldier isn’t able to receive aid from the V.A. as this was something that (in addition to jobs) American soldiers returning from Vietnam had a hard time finding. “Closing Time” deals with the band’s lead singer (Dan Wilson) entering parenthood for the first time. This metaphor of “leaving the bar” to becoming a parent for the first time was explained by Wilson in a 2008 performance at Harvard (where he went to college). “Saviour” from Lights’ 2009 album The Listening has some really thought-provoking lyrics. In the song, the singer is begging for someone to be her “savior”, to “break off her chains” or save her from whatever is holding her back. Or are we scared of admitting it? The particular lyrics above explain how kids at times can understand when to attempt solving their problems or quit having negative emotions, perhaps even better than adults. While adults can refuse to accept the conflict they are facing, kids may be more likely to face these challenges head-on. The lyrics display an interesting comparison between ages of people. With the warmer months coming, you may want to be outside more often. There are a few great hiking trails here in Iowa that you should check out this spring and summer. The first place is the Maquoketa Caves State Park. This trail is a 1.7-mile loop and it features a river. There are also a lot of different caves that you can explore around the trail. Dogs are also allowed on this trail so feel free to bring your dog with you if you decide to visit this trail. The next trail is the Wildcat Den Trail which is located in Muscatine, Iowa. This is a great trail if you’re looking for something a little more challenging. This is a 4-mile loop trail that features a ton of wildflowers and ponds. This trail is best used between March and October. Another great trail is the Squire Shore Trails which is located in North Liberty, Iowa. This is a 5-mile loop trail that goes right along the Iowa River. You are able to look out off of the cliff to see the river from the trail. These trails all feature different things and you can experience everything if you visit these trails. They are all dog-friendly as long as you keep your dog on a leash. If you’re looking for something to do on a nice day, keep these great trails in mind to visit. The most visited museum in the world, with over 10.2 million guests in 2018, the Louvre remains the most iconic art museum in history. 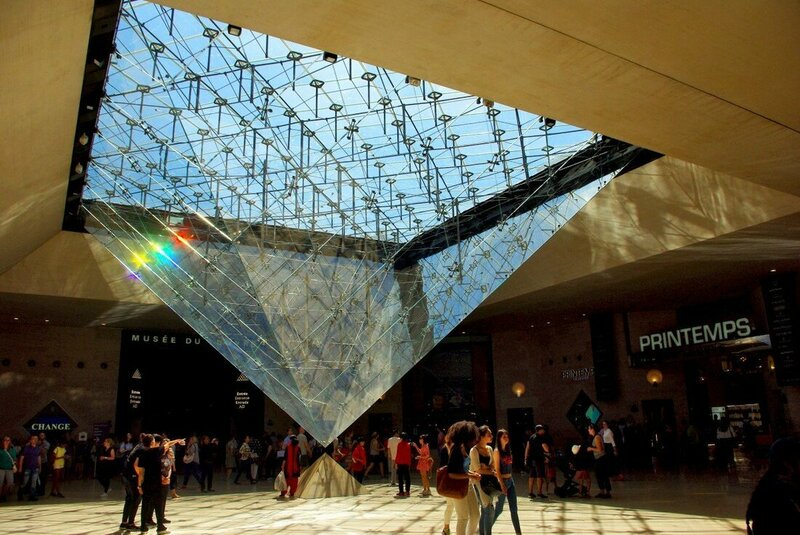 In honor of the 30th anniversary since the glass pyramids were added, Airbnb and the Louvre teamed up to offer one winner and a guest the opportunity to see what this art institution is like after visiting hours are over. The special booking is part of Airbnb's "Night At" franchise, a series of once-in-a-lifetime stays at some pretty neat locations. Previous "Night At's" have been held at Dracula's Castle, a LEGO House, and a Shark Aquarium. 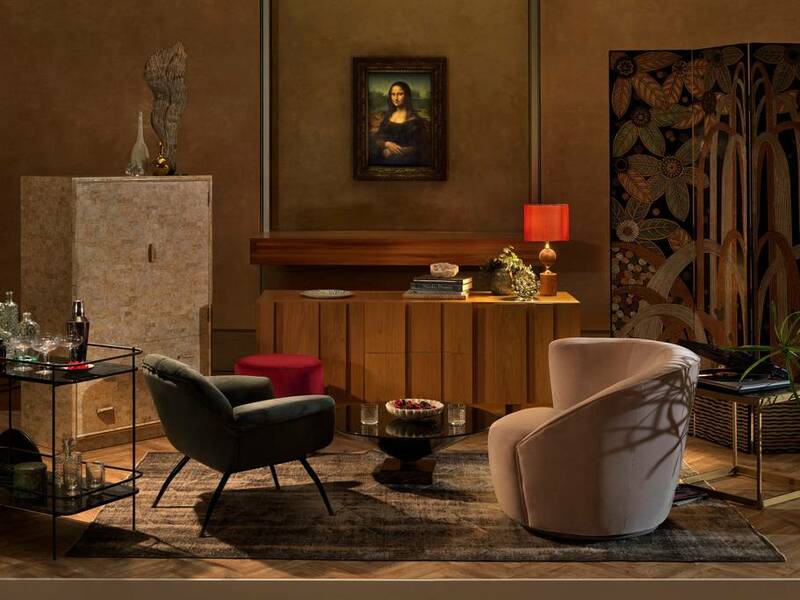 To enter this dream contest, be 18 and log onto airbnb.com/louvre before April 12, 2019 and answer this question: why would you be the Mona Lisa's perfect guest? According to Mental Health America, 98% of pet owners consider their pet to be apart of the family. Therefore, it may not come as a surprise to some that animals have been scientifically proven to provide mental and physical health benefits. The Pet Effect is the idea that a human-animal bond provides beneficial impacts to both the human and the animal. In Mental Health America’s survey of pet owners, 75% said they could see noticeable improvements on the mental health of friends and family because they had an animal companion in the household. Studies have also shown that psychological stressors such as anxiety, fear, depression, and more can be reduced with the comfort of a pet. Along with mental health, many studies have seen that animal-lovers and pet owners show significantly better physical health traits as well. According to The Pet Effect website, someone who does not have a pet has a significantly higher chance of death by heart attack. One reason for this is because pet owners tend to increase their physical activity while caring for their pet. An increase in physical activity results in improvements of blood pressure, cholesterol, obesity, and more. In addition to everyday health, animals can help with specialized diseases and disorders. For example, kids with Autism often times show positive behavioral changes when they are around animals. Another case of this is with people who suffer from Post Traumatic Stress Disorder (PTSD). Often times victims of PTSD find it hard to be around other people. A pet can offer a special type of companionship that will alleviate stress. Many recognize the important benefits of having pets. In fact, a special organization called the Human Animal Bond Research Institute works toward more research on all the benefits animals provide to us. They have even funded around 2 million dollars worth of human-animal interaction research. If you do not have a pet, it could be important to weigh how adopting an animal may help improve your quality of life. All the pet owners out there should not take for granted how their pet may help them long term. On Thursday, February 28th, Grey’s Anatomy aired their record-breaking episode, “We Didn’t Start the Fire”, for the longest running medical television show. They just passed the length of the show, ER, which consists of 331 episodes. This was Grey’s Anatomy’s 332nd episode and they are currently in the middle of their 15th season. The 15th season episode count just got increased to 25 episodes. BTS has hit the world by storm with a total of 32 songs, their most popular being Fake Love getting over 450 million views on youtube. They have made a total of 2 songs since 2018, Fake Love and IDOL that have collectively gotten about 816,988,085 millions views in total, and almost everyone is a fan of the fun loving K-Pop group. 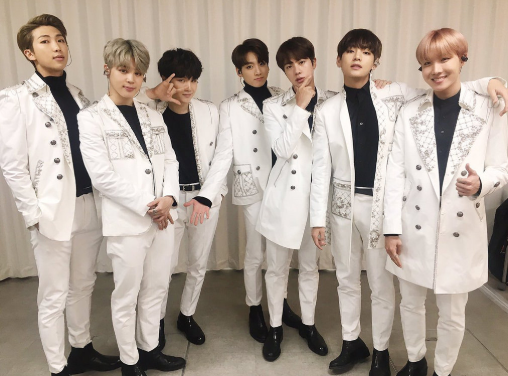 BTS, also known as the Bangtan Boys, originally started in 2013 by Big Hit Entertainment, their full name is Beyond the Scene but soon became BTS in July of 2017 when they started to become more popular. The seven members that form BTS are RM (Rap Monster), V, Jungkook, Jimin, Suga, Jin, and J-hope. They have attend many award shows, the most recent being the 2019 Grammys, showing up in costum Korean tuxedos that broke the internet. This year came as a shock when BTS fans found out that their beloved group might have to go into the military “All of the BTS members say they will definitely enlist for military service,” Minister Do Jong-hwan said, according to The Korea Herald. A minimum of 21 weeks in the military is mandatory to for all “able-bodied males” age 18-35. Most of the groups age ranges from 21-26 which means that they will have to enlist. This causing a lot of uproar from fans but the group says that it is their duty to fulfill and they will do what they have to do. The group is not only loyal to its fans but its country as well. The group is still in Korea right now but they are going to be having a world tour very soon, within the first day almost all of the tickets were sold out. The group is breaking records everyday and it will be exciting to see what else they have to offer. One of the most misunderstood groups of people happen to be introverts. Introverts are people who tend to be more reserved and recharge better when they are left alone. Healthline.com describes introverts as people who “don’t seek out special attention or social engagements, as these events can leave [them] feeling exhausted and drained.” They are polar opposites of extroverts, people who gain energy from enjoyably being social and around others. The idea of being an introvert is often frowned upon because of the stereotype associated with them. People tend to get introverts mixed up with people who are shy or antisocial. What they may not realize is that shy people and antisocial people can actually be extroverted and that being introverted, shy, and antisocial are all different traits. Being shy just means that you get nervous when socializing. Though it is true that some introverts can be shy, other introverts aren’t necessarily nervous about talking to others and can be just as confident as extroverts. Antisocial people often do not like to be around others. Unlike antisocial people, introverts want to socialize, they just prefer to do so on their time, usually in a quieter environment with fewer people. What may be most misunderstood about introverts is how useful they are to society. They have various qualities that make them suitable for certain tasks. For example, according to Susan Cain’s groundbreaking nonfiction book on introverts, called Quiet: The Power of Introverts in a World That Can’t Stop Talking, introverts tend to be observational; they do well at noticing small details around them. This is one of the reasons why many of them enjoy creative hobbies such as writing and painting. They also are empathetic towards others, as they usually have a significant understanding of emotions and how emotions affect others. And when they are alone, introverts can be highly productive. In America, the ideal successful person is one that is outgoing, and therefore an extrovert, despite the apparent positive qualities of introverts. This has caused introverts to try to act like “pseudo-extroverts” (Cain utilizes this term in Quiet). If this were to change, if people could realize that both introverts and extroverts have amazing qualities of their own, then lots of introverts would no longer feel misunderstood and unhappy with who they are. The beginning of 2018 was extremely rough for YouTube. Many were disgusted when the platform decided to feature a video of YouTuber Logan Paul walking into the Suicide Forest in Aokigahara, Japan on its trending page. The video had Paul and his friends walk into the forest, make jokes along the way, and eventually discover a hanging body from somebody who decided to take their own life. This year, The Anchor wants readers to start 2019 on a more positive note. 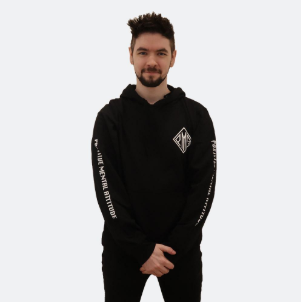 So, we put together a list of YouTube channels who have used their platform to do good in the world. Enjoy. 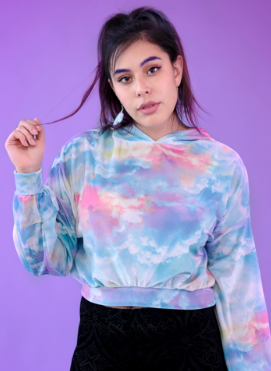 YouTuber Tiffany Herrera has been using the platform since she was 22. Since then, she has made all kinds of videos: gaming videos, DIYs, baking videos, cosplay videos, music videos, animated videos, vlogs, you name it. On her 30th birthday, however, she decided to step out of her comfort zone. She created and released her own clothing line called MoodyMe. The name comes from the idea that emotions are an important part of yourself to embrace. Not only that, Tiffy and her team also plan on donating some of their earnings to a non-profit organization that focuses on mental health. To visit her shop, go to moodyme.la. 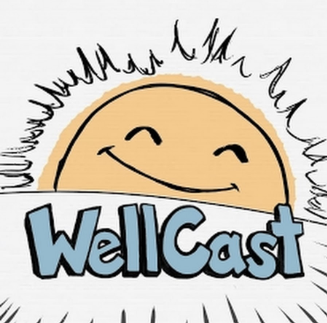 Watchwellcast is a Youtube channel that focused on making videos that give advice to help lead people to overall wellness. Though the channel hasn’t been active for about four years, it still has a collection of how-to and informational videos with simple animations. There are a variety of topics to check out. Some videos deal with darker topics like abusive relationships, suicide, and loss, while others are more lighthearted, such as ways to study and how beneficial pet therapy can be. Every year, people crowd around the t.v to watch a crystal ball drop from a pole in Manhattan, New York. Everyone cheers as the 10 second countdown begins, and in no time, It’s midnight in the Big Apple. 2019 has just arrived, opportunities for improvement are in reach. Traditions for this holiday, like making “resolutions” have occurred for more than a century, always at the end of the year and following into the next. Resolutions first came from a group known as the babylonians 4,000 years ago. They made promises to their gods and expected rewards in return. Americans took this tradition and now it is known to make goals for yourself (that are almost never achieved). The first party of New Year’s eve happened over 100 years ago, in 1904. Alfred Ochs, the then-New York Times owner, hosted a celebration in honor of their new headquarters opening that night. More than 200,000 people surrounded the building in Times Square to celebrate, and Ochs did not disappoint. He set off fireworks to attract attention and when the clock struck 12, roaring cheers and sounds of noise makers were heard. After a few years, this had become a tradition for the holiday. The fireworks had been banned, but Ochs decided to replace that with a large ball of light made of wood and iron. It lowered from a flagpole to show that 1907 was over and 1908 was just beginning. The ball had evolved from bulbs to led, wood to crystal, and single to multi-colored over the years. The actual symbol of dropping a ball appeared long before the 1900’s. In 1883, the first “time-ball” was introduced. It would drop at a specific time at the Royal Observatory in Greenwich, England. This was used to help captains navigate. This tradition survived for a long time, and today in Washington D.C, their Naval Observatory has a ball drop down at noon every day. 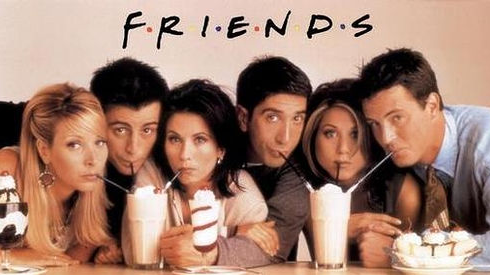 Netflix, one of the top online streaming providers has decided to take Friends off of its selections of shows. The news came in early December of 2018 but with a lot of backlash, Netflix decided to keep the show for another year, costing them around 90 million dollars. But even with the meltdown the internet had when this news got to it, all of this begs the question, what will happen when/if its competitors pull their most popular shows from Netflix and have them exclusively on their own streaming services? Netflix has been making their own movies, the most recent one being Bird Box, which hit the internet by storm with all of the memes and recreations of the thriller movie. Disney and WarnerMedia are both launching their own streaming services this year. WarnerMedia owning the famous 2000s show Gilmore Girls and Disney owning the medical drama Greys Anatomy, both very big on Netflix. Another big company working with Netflix is Comcast. This company has not announced if they will start a streaming service like Disney and WarnerMedia but if they did that would mean two big shows The Office and The Good Place would be pulled from Netflix as well. This could be the start of the downfall for Netflix. But even with Netflix benefitting off of other peoples content, it does get these shows out there into the world. The streaming service has about 137 million subscribers worldwide and the studios do get a good profit off of this as well. And he does bring up a very good point. Netflix reaches a bunch of people and if the studios are making a substantial amount of money off of this why would they pull the show? Though the beloved show Friends will stay on Netflix through 2019 Netflix told reporters that they will not be keeping it in 2020. No need to worry, with WarnerMedia coming out in late 2019 with their own streaming site, they will most likely have it there.